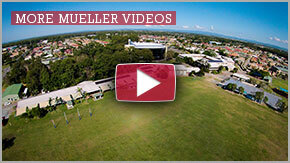 Middle School is one of the three Sub-Schools that exist at Mueller College and it is considered to be the formative and transitional years between Primary and Senior Schools, encompassing Years 7, 8 and 9. This year we have an enrolment of approximately 320 students including four year seven and eight classes and five year nine classes. Students in the Middle School tend towards being creative, dynamic, impulsive, enthusiastic and curious about the world around them. 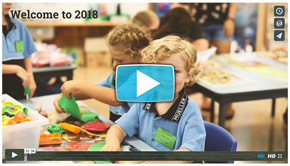 To harness these creative and enthusiastic traits students are offered a broad curriculum including the mandated subjects of English, History, Maths, Science, HPE and Geography courses that are written in line with Australian Curriculum requirements. At Mueller we understand that early adolescents are just beginning their journey into a Senior School environment, which includes a scheduled timetable, electives, more movement in their daily routines and teacher changes. We appreciate that many can find this transition overwhelming and therefore work with both the Primary School teachers and parents at the conclusion of Year 6 to better prepare students for the coming changes. To this end teachers have been involved in ongoing professional development to better equip them in the classroom to respond to and instruct 21st Century learners. The year seven teachers in particular have been appointed because they understand the younger student, how they think, learn and adjust to new environments. They have a heart for young people and a keen desire to see them reach their potential in their senior years of schooling. There has also been a conscious decision to place Heads of Departments as teachers in the Middle School as they have a thorough knowledge of where students need to be at the end of their schooling and what foundational skills need to be mastered in Middle School to achieve success in Senior. Staff across the Middle school understand that adolescents undergo many developmental changes and challenges as they begin to focus their minds and course of study towards the future and where they would like to be as a graduating student. They provide innovative lessons that are evolving to include iPads as a tool for recording, research, communication and presentation of students work. The electives offered in the Middle School include: Art, Music, Physical Education, Computer Studies, Industrial Technology, Home Economics, Consumer Studies, Drama, Business Information Processing, Graphics and Information Technology Systems. It is a mandated course of study for students in year seven and eight, and electives are chosen in year nine when students are beginning to personalise their timetables. The Middle School has a dedicated Numeracy Coach. This year he overhauled the curriculum and mapped a program for all year seven to nine students including a week by week program as well as learning goals for each lesson. He continues to support teachers in the classroom and will be filming some individual teaching segments that students can access when they are revising a new concept in maths. This year we have seen the addition of several new Heads of Department who are working with those already appointed to oversee the curriculum in the Middle School, to look for opportunities for cross-curricular work and to ensure what is being taught is relevant, current and meets external requirements. A distinctive of Mueller College has always been the support and care students and their families receive from the school within our Pastoral Care Framework. This framework includes a weekly meeting made up of the Head of College, Deputy Head of College, Heads of Sub-Schools, Nurse, Chaplains, Head of Careers and VET as well as the learning Support Coordinator. During the meeting referrals are discussed and a student’s care is allocated to the person or people best equipped to support them at that time. At times referrals will be made to outside agencies to ensure the best possible care is offered. At a classroom level classes have been allocated a Pastoral Care teacher who meets with them every day to handle the routine tasks such as roll marking, but far more importantly to build relationships with the class through daily devotions and SL@M lessons once a week. SL@M stands for Student Life at Mueller and is a weekly Biblically based lesson that sees students work through a set curriculum including Cyber Safety, Problem Solving, Relationship Building, Creating Confidence, Identifying Dangers, Organisational Skills and Body Image. With the compulsory introduction of ipads this year students have undertaken a school wide course on Digital Citizenship to ensure they understand how to safely behaviour in a digitally connected world. The aim of Mueller College is to prepare its students for life in the world and eternity by applying Biblical principles through excellent education in a distinctly Christian environment. As a school it does this through a varied curriculum that focuses on teaching the fundamentals while developing students who are inquisitive, engaged on a classroom level, confident with technological changes and who develop a sense of community and belonging as they transition through the Middle School. Students are offered the opportunity to join the Chapel band, prayer group or choir, to take part in many and varying mission trips, support social justice issues, join a sporting team, train outside of school in the Running Club or Basketball Academy, audition for a part in the school musical, mentor younger students in the Primary School through programs the Chaplains run or simply spend time with their peers in a safe and supportive environment.